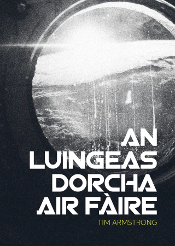 Eu-choltach ri geamannan eile mar Eve Online no Star Citizen, chan eil leasaichean No Man’s Sky a’ cuimseachadh air fiorachas buileach, ach air an stoidhle ealain a chithear air seann leabhraichean ficsean-saidheans clasaigeach – caran os-fhìorach agus triopaidh – agus nach eil e àlainn. Ged nach e geamair a th’ annam, bu toil leam seòladh mun cuairt No Man’s Sky beagan, nuair a thig e a-mach air PC. 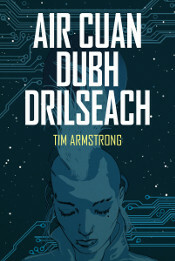 A thuilleadh air na longan-fànais agus na planaidean craicte, tha dineosoran aca! Cuideachd, eu-choltach ri mòran gheamannan eile, tha No Man’s Sky ga chruthachadh tron ghnìomh, agus mar sin, ann an teòiridh, tha saoghal a’ gheama gun chrìch, le billeanan is billeanan de phlanaidean a dh’fhaodadh tu lorg. 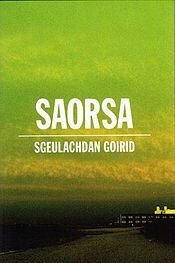 Nis, can gun robh thu beò ann an siobhaltas coigreach adhartach, le saoghalan gu-bhith mar seo rim faighean, a cheart cho triopaidh ach fada na bu mhionaidich, agus gun crìch. Am fàgadh tu a’ phlanaid agad gus siubhail iomadh linn tron domhainn mhòir chunnartaich fhalaimh nuair a b’ urrainn dhut fuireach aig an taigh agus siubhail tro gheama ghu-bhith mar seo, gu sgiobalta luath agus gun chunnart? Chaidh seo a phostadh ann an fànas, Ficsean-saidheans, saibeirneatachd. Dèan comharra-lìn dhen bhuan-cheangal.